Since 2001, we have worked very hard to Satisfy every customer. As a result, we have earned the highly honorable distinction of being selected as an Angie’s List Provider. Let us know how your experience was. Just click on the link below and write a review. Thank you for your patronage. Tim is very professional and very helpful. He truly gave old fashioned customer service. We needed a well made mattress that was firm for a futon. Tim took his time and explained everything and gave many options and choices. We were impressed with his knowledge about mattresses. We purchased the recommended mattress (for a bad back). Tim was very right about the comfort of the mattress! It is the most well made mattress for a futon we have ever seen. We went back the next day and purchased the futon frame which was actually made in the USA. Very sturdy frame. He was very helpful and a wonderful listener. He was not a pushy salesperson. The showroom was neat, very clean and well organized. Wonderful experience will go back again. We needed a futon for our home. 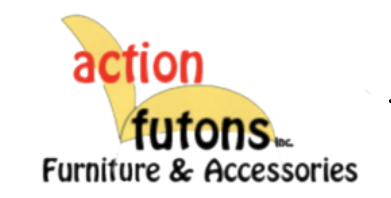 We worked with Tim at Action Futons in purchasing a futon frame, drawers, mattress, and cover. He assisted us in choosing the appropriate futon mattress size, and he answered all of our futon-related questions. Tim was very helpful, friendly, and professional. He made sure that we knew how to both recline the futon and return it to its sofa-like state before leaving the store. He helped us load the mattress and futon in our car. The futon drawers arrived in the store in one week just as Tim predicted, and he called us promptly to let us know. Additionally, he assembled the drawers while in the store which was a great time-saver for us. The drawers are a nice touch and the futon looks very polished. There was a vast selection from which to choose covers, and we were very happy with the price of the cover we selected. We definitely would use Action Futons in the future, and we recommend this business to other consumers. Member Comments: excellent. we purchased a futon with cover and new pillows. Tim showed us all the different futon units with no pressure! Lots to look at. We picked the Magnolia Queen unit with custom cover. Unit arrived quickly and we picked up. Quality was great with no damage to anything. Boxed well! Set up was simple and looks great in our room. Recommend Tim and Action Futons!! Great experience! I recently purchased a futon package from Action Futons.com and had concerns about making an online furniture purchase. Working with Tim put my concerns at ease. He went above and beyond any customer service I have ever experienced. He took the time to help me through the entire process from ordering to delivery, which was extremely quick! Tim it was a real pleasure working with you and I would highly recommend Action Futons. My purchase from Action Futons went extremely smooth thanks to Tim!! !